Gaten Matarazzo plays Dustin on our beloved Stranger Things and is totally my favorite one on the show. He's the cutest! Since he's from back east, it was a big deal to try and meet him while he was in town. To say I was excited would be an understatement (I was a bit of a mess, if you must know....dropping my phone, fumbling my words....I was a huge dork). 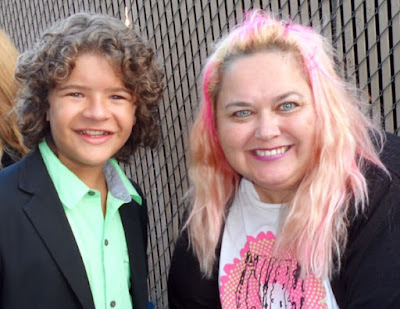 Thanks for being so awesome, Gaten!